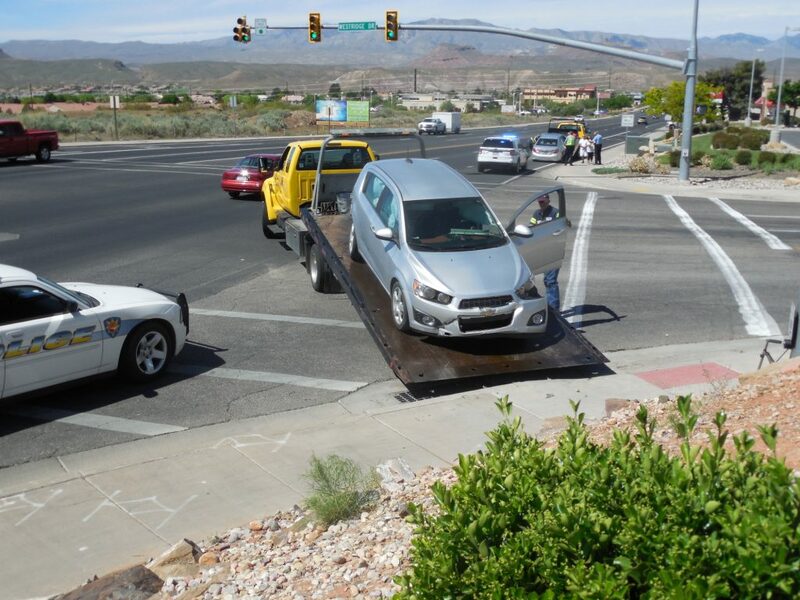 ST. GEORGE – A two-vehicle collision triggered by what police said was an improper left turn wrecked two vehicles and sent one of them careening into a large light pole Tuesday morning. 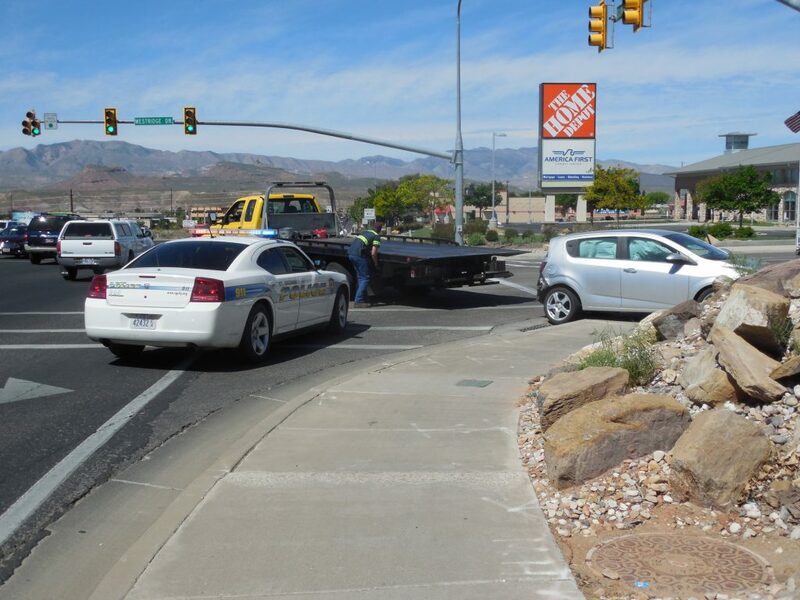 St. George Police officers were dispatched to the intersection of Sunset Boulevard and Westridge Drive at about 11:20 a.m.
A 77-year-old woman driving a 2015 Chevrolet Sonic was eastbound on Sunset Boulevard, while a 2012 Toyota Camry driven by a 63-year-old woman was westbound in the outside lane. 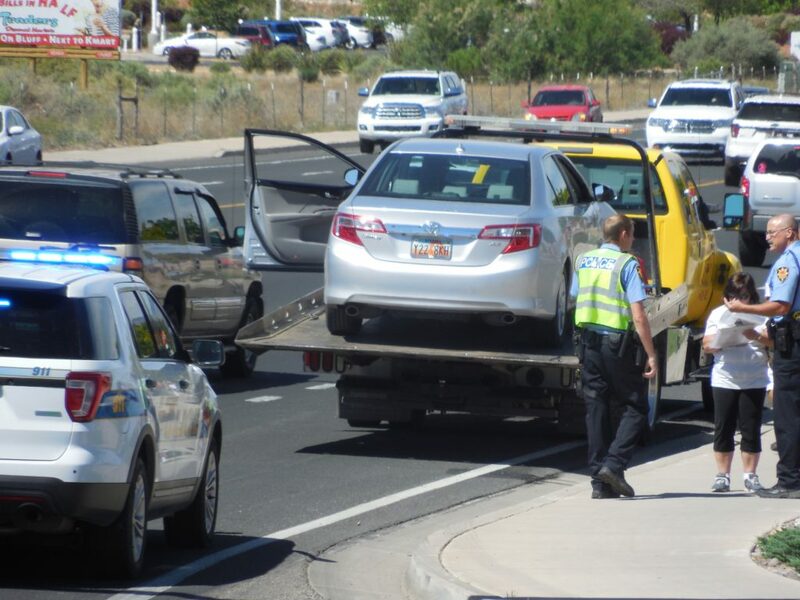 A witness driving behind the Camry told police the light was green, St. George Police Officer Jamison Hale said. 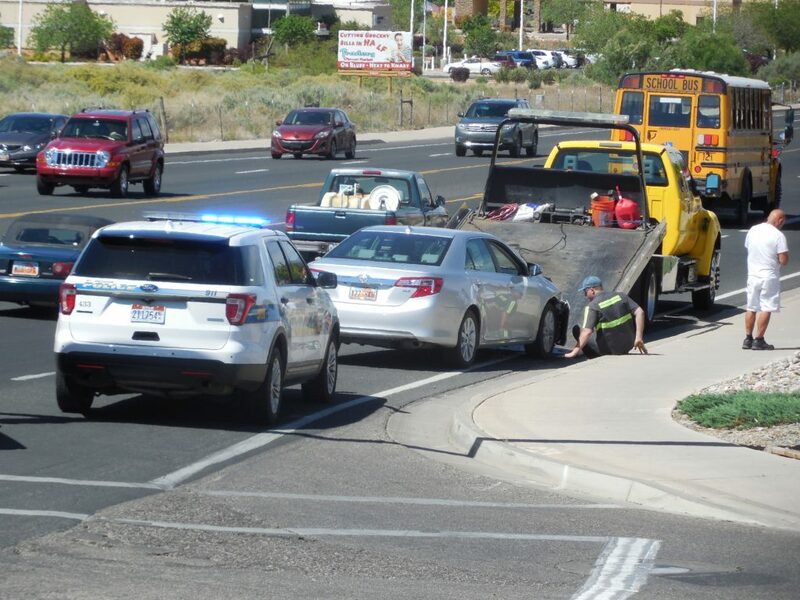 The Chevrolet was clipped on the back end by the Camry and pushed into a light pole on the northeast corner of the intersection, causing damage to the vehicle’s front end as well. 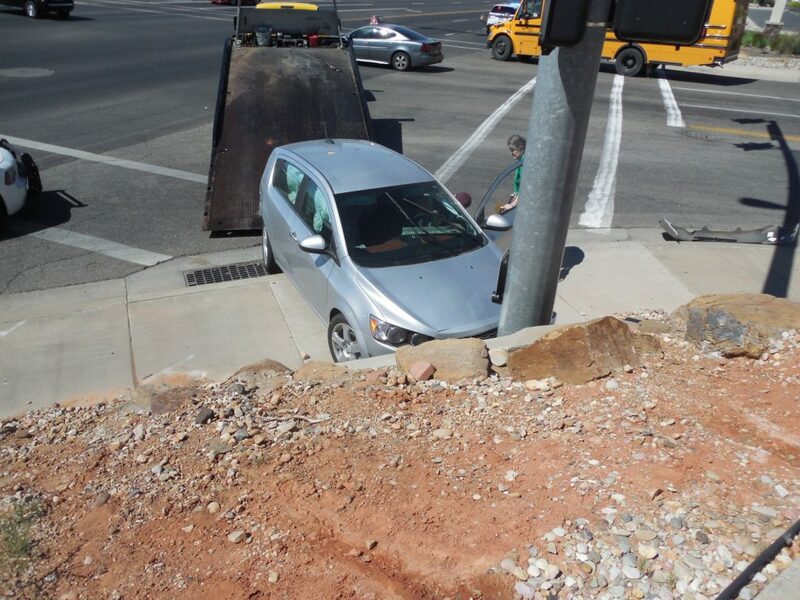 The driver of the Chevrolet told police the other vehicle had its right turn signal on as if it was going to turn right on Westridge, Hale said. 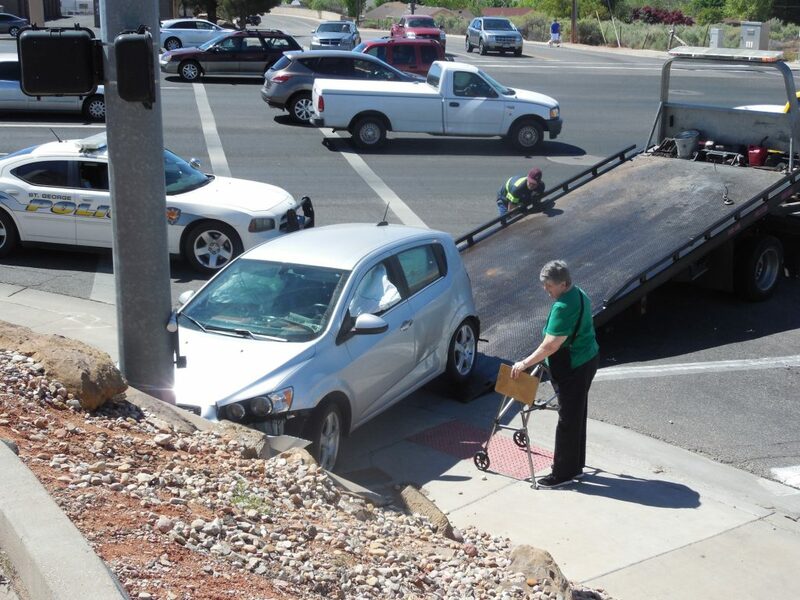 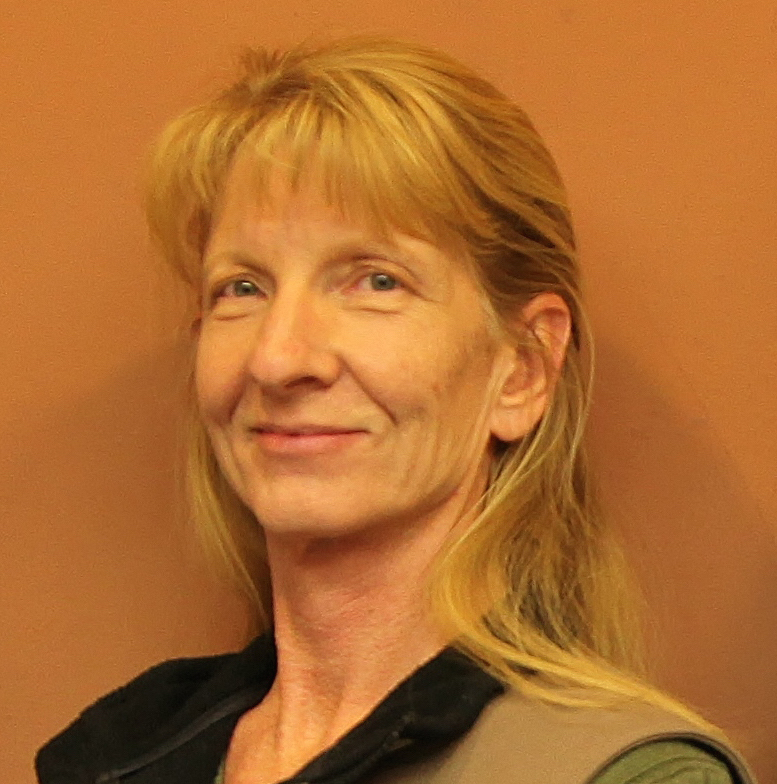 “Even if the turn signal was on, she’d still have to yield to them making a right turn,” Hale said. 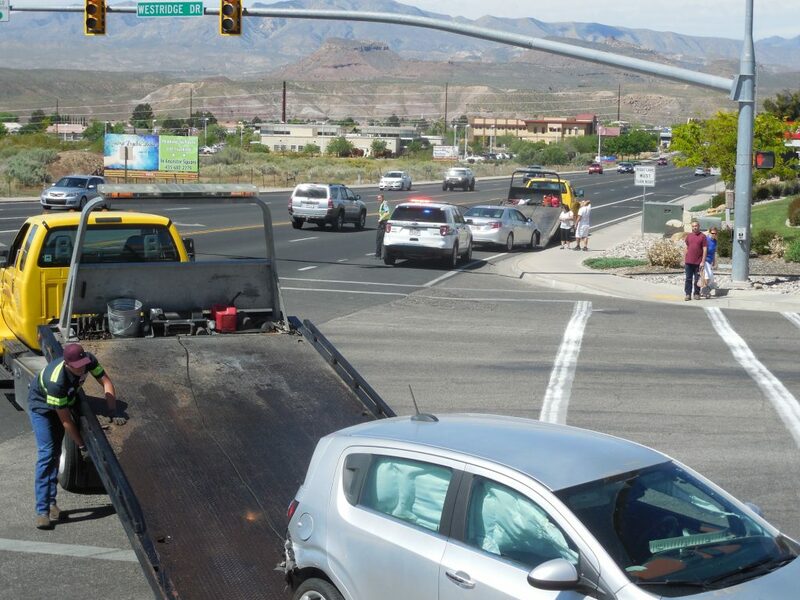 The driver of the Camry was cited for failure to yield on a left turn. 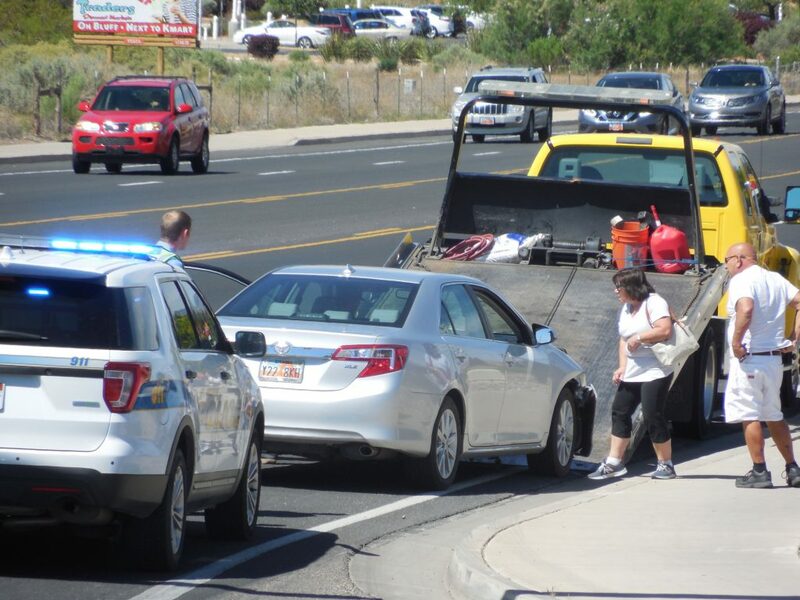 Neither reported any injuries, Hale said, and both vehicles had to be towed from the scene. 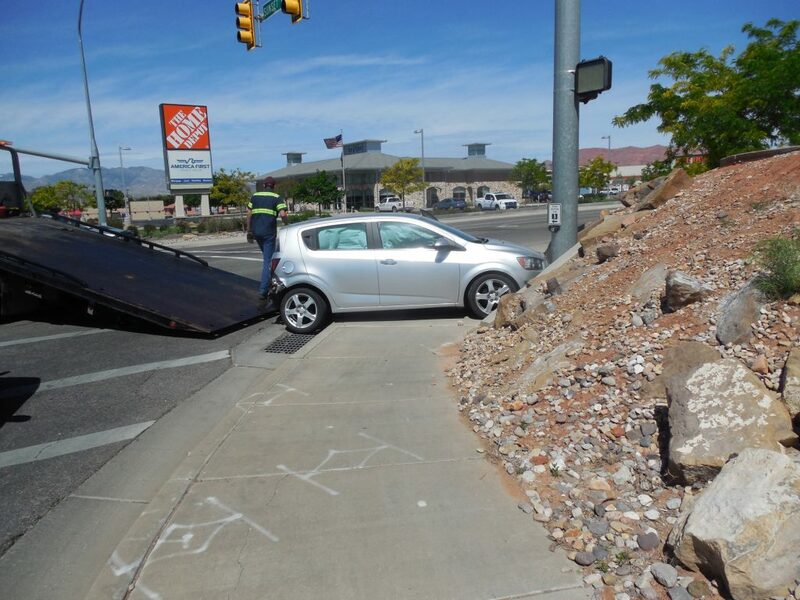 St. George Police and Gold Cross Ambulance responded to the incident. 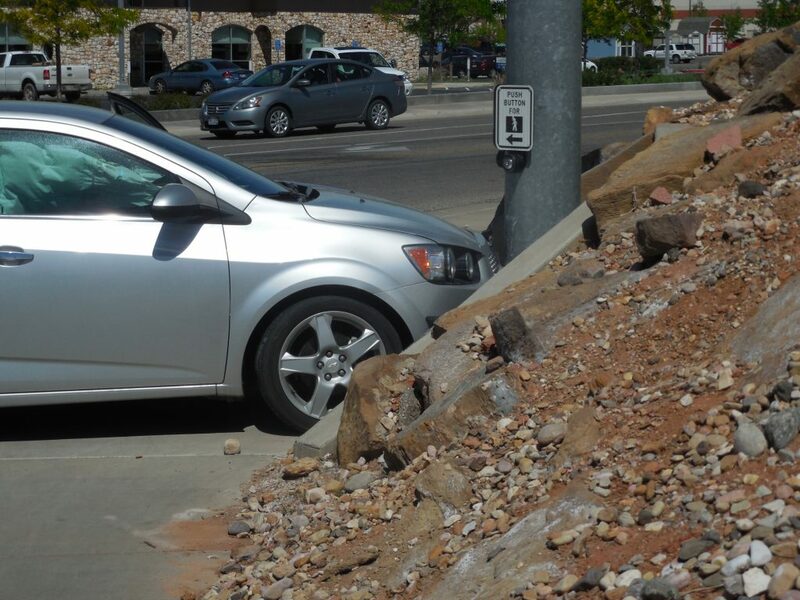 Clearly, traffic is now such that I need to revive my M38 armored car and get it on the road again.